Being best-in-class is the promise we make to all of our clients. Our ability to deliver on that promise requires that we attract and hire talented, creative, motivated, team-focused, and leadership-oriented candidates across all of our businesses. As an employer, we strive to create a culture that is centered around employee growth and career development, mentorship, and sponsorship. Evercore is one the world’s fastest growing independent investment banking advisory firms. Over the last 10 years, we’ve grown revenues at greater than a 20% compounded rate, established a truly global presence with 28 offices worldwide, and continued to expand our sector coverage and product capabilities. Our continued success provides opportunities for career progression and mobility within the firm, and some of our most successful senior professionals began their careers at Evercore. Evercore is deeply committed to the ongoing professional development of its employees. In fact, Evercore was recently ranked #2 and #3 respectively, by Vault in its 2019 annual rankings of investment banks for its Formal and Informal Training Programs. Our widely-praised training framework involves ongoing development at all stages of our employees’ professional careers. While we offer formal training to our employees depending on the nature of their position and seniority, we also believe that the most meaningful aspects of an employee’s development come through informal on-the-job training and ongoing employee engagement, including through extensive mentorship. In addition, all of our employees benefit from a comprehensive evaluation process, designed to provide them with the feedback necessary for all aspects of their professional development. Our primary distinguishing asset is our talent. We attract, nurture, and retain professionals who deliver the highest quality advice with unrivaled client service. We are defined by a set of core values which drives how we run our business; we hold ourselves to the highest standards of professional integrity. Our ethos of partnership and teamwork ensures that we learn from each other. We do not function as individuals within a larger machine; rather, our relatively flat structure enables us to exchange ideas, collaborate and work successfully as a unified firm. To that end, we host employee town halls at a firm-wide level, designed to provide employee access to senior leadership and input into organizational initiatives. From the outset, junior hires work alongside senior bankers on industry-defining deals. Evercore’s hands-on approach makes the Firm a unique and extraordinary place to begin your career. These cultural and employee-focused attributes create a truly unique working environment and have resulted in an exceptionally high retention rate. Evercore has some of the industry’s most highly respected bankers who bring a wealth of industry and client-relationship experience. Our proven track record, flat organizational structure, and hands-on learning model make our platform very attractive to junior professionals. We are dedicated to helping our clients achieve superior results through trusted, independent, and innovative advice on matters of strategic significance to boards of directors, management teams, and shareholders. We advise on mergers and acquisitions, strategic shareholder advisory, restructurings, and capital structure. Evercore also advises clients on raising public and private capital, and we deliver equity research and sales as well as agency trading execution. In addition, the Company provides wealth and investment management services to high net worth and institutional investors. At Evercore, we understand the importance of ensuring our employees are satisfied with their professional experience. We are proud of our #2 overall Vault ranking and top 5 rankings in numerous Vault “Quality of Life” categories, including Firm Leadership, Formal Training and Informal Training, Business Outlook, Satisfaction and Vacation Policies. Evercore encourages employees to give feedback, and incorporates that feedback in its assessment of employee satisfaction and management of Evercore’s operations. For example, we have improved our flexible work arrangement policies in response to recommendations from our employees. We believe that a crucial component of our employees’ satisfaction is our commitment to promoting a healthy lifestyle. Evercore offers all of its employees the opportunity to participate in EverWELL, our wellness program. EverWELL is designed to promote health education and encourage our employees to take a mindful approach to their overall well-being. Through EverWELL’s internal and external partnerships, we offer various resources and seminars related to all aspects of healthy living, including a focus on employees’ health, welfare, nutrition, stress management and financial wellness. Commuter benefits, health club membership discounts and other corporate benefits. Finally, we are also proud of our commitment to achieving diversity in the workplace. We have benefitted over the years in employee recruitment from our Diversity Initiatives and partnerships with external diversity organizations. Internally, our Women’s Council has been a valuable resource for creating positive organizational change. We believe that diversity of experience and background improves our organizational culture and social construct. Our commitment to diversity was recognized by Vault, with a #2 ranking in Overall Diversity and Diversity for Women in the last two years’ surveys. Evercore has grown tremendously since I joined the firm about 20 years ago. The drivers of this growth include our talented employees, our focus on quality and integrity, and our independent model that enables us to provide unbiased advice. These factors resonate well with clients and have allowed us to expand our footprint steadily over time. How would you describe Evercore’s culture? I think the junior employees at Evercore receive constant support. There are also many opportunities to interact with and learn from senior bankers. Being able to observe experienced professionals in action helps junior employees get a better sense of where their own career paths may lead. This type of interaction is very different from what I experienced at a large bank. We recruit bright, mature, motivated individuals who have the drive and flexibility necessary to succeed in a challenging and stimulating environment. We select the brightest students from top universities, including premier liberal arts and business schools. Evercore bankers advise clients across industries in domestic and cross-border mergers and acquisitions (M&A) transactions, including, but not limited to, corporate mergers, tender offers, purchase of assets and LBOs. Evercore bankers offer strategic advice and financial restructuring services to companies, creditors, investors, and other stakeholders facing financial distress, including bankruptcy. As part of Evercore’s Corporate Advisory business, ECM bankers help businesses raise capital through initial public offerings (IPOs), convertible bonds, and other services involving equity. Evercore’s Strategic Shareholder Advisory team advises clients on matters related to corporate governance, board advisory, M&A, capital allocation, activist and raid defense, in the effort to ward off a hostile takeover. Activists include both those who exercise their shareholder rights to effect change, as well as investors who attempt to gain control of the company and replace management for the benefit of shareholders. Evercore's Private Capital Advisory (PCA) team advises managers of private asset (private equity, private debt, real estate, infrastructure, etc.) seeking to recapitalize or liquidate their assets through a privately negotiated transaction – fund sales, asset refinancing and fund recapitalizaitons. The PCA team typically provides advice encompassing pricing analysis, recommendations on process, structuring alternatives and contract negotiation through the transfer and closing. Clients benefit from the team’s close collaboration with Evercore’s strategic advisory bankers, leveraging their broad and deep sector expertise. Evercore's Private Funds Group (PFG) provides comprehensive, global advisory services on capital raising for select sponsors. Our clients include general partners raising capital for private markets investments including private equity, private debt, and real assets strategies. Evercore ISI is engaged in research, sales and trading for equities securities. Our top-ranked team of research analysts creates and delivers investment research that is accurate, relevant, timely, clear, concise, and helpful to institutional investors navigating a complex investment environment. Evercore offers an unparalleled career opportunity for both current MBA students (Associates) and undergraduates (Analysts) interested in working within the financial industry. We offer a Generalist Program in New York which provides exposure to a variety of industries. During the internship, Summer Associates and Analysts work closely with senior bankers on several projects, gaining hands-on experience and developing their knowledge base. Summer Associates and Analysts often play a key role with both quantitative and qualitative analyses. The summer generalist experience often provides candidates with very useful context for their decision of industry as they progress toward their potential full-time role. Evercore provides Summer Associates and Analysts with direct hire opportunities in Chicago, Houston, New York, Menlo Park and Toronto. Recruits interested in specializing in a particular industry group in a specific location for their summer internship should select these groups as their preference. The direct hire options are listed under the program descriptions below. While the majority of our full-time hires come through our summer programs, we encourage other qualified candidates to look for opportunities on our portal throughout the year. Click HERE to see a full listing of all recruitment events. Our mission is to attract and retain the most talented individuals of varied backgrounds who reflect the global marketplace we serve. Diversity of thought and background benefits our clients and bolsters our workplace culture. We offer diversity events at each of our core schools for both undergraduate and MBA students. Additionally, we offer scholarships and fellowships to interested candidates for specific roles. We recruit bright, mature, motivated individuals who have the drive and flexibility necessary to succeed in a challenging and stimulating environment. We select the brightest students from top universities, including recruiting at premier business schools. The team assists clients across the full spectrum of equity capital markets (“ECM”) including IPOs, rights issues / placings, sell-downs, spin-offs / demergers and convertibles / other derivatives. The team acts as an Independent Advisor to its clients on ECM transactions, meaning that it is focused purely on giving advice and does not provide underwriting services or equities sales and trading. Integrated investment banks which act as underwriters can have conflicts between their corporate clients on one hand and their institutional equity buy-side clients or internal interests on the other (such as where to price shares being sold, the optimal deal size and structure, negotiation of fees and terms of an underwriting agreement, which investors to focus marketing efforts on, who should receive share allocations in a deal etc.). One of the roles of an Independent Advisor is to manage these conflicts and remain the client’s advocate throughout a transaction. The team focuses on early preparation of companies prior to a transaction and assists in the appointments of underwriting banks and other advisors, including advice on selecting the optimal candidates as well as negotiations of fees and terms of engagement on behalf of clients. The team oversees the execution phase of the transaction, ensuring best performance from the underwriting banks and giving independent views on all key areas (including market conditions, timing, investor targeting, tactics, structuring, pricing and allocations) as well as general problem solving. The team typically works in conjunction with Evercore sector teams on transactions, who focus more on a client’s equity story and market positioning or in some instances will be running an M&A process either requiring an equity raise for funding or as an alternative to an IPO. Our Debt Advisory team impartially guides borrowers, investors, and creditors on how to structure and raise capital, without any deal or market bias. We evaluate all of our client’s options across markets to optimize financing terms. By joining us for one of our spring weeks you will learn first-hand what it is to work at Evercore. You will experience the culture that sets us apart from our competitors, gain an invaluable insight into working for a top, independent investment bank and you will learn and develop skills and knowledge essential for anyone considering a career in investment banking. To apply for our Spring Week Programme please click here. Applications for our 2019 Summer Inter Programme are now closed. Our internship programme is 10 weeks in duration and designed for people in their penultimate year of study who have a strong interest in an investment banking career. Following one week of technical and industry based training our interns are placed into sector teams where they become valued team members early on, providing the vital support required in a dynamic industry. During the programme interns will have a mid-way informal catch-up ensure they are receiving the exposure and experience expected at the start, this is also an opportunity for teams to provide feedback on performance. In addition there will be opportunities to network with professionals of varying levels from within the firm. We have discovered talented, motivated and professional individuals through previous internship programmes and as a result offers have been extended for full-time positions. Our Graduate programme begins with six weeks of training, both technical and soft skills focused. Ten days of the programme will be at our New York office where there is plenty of opportunity to network with peers whilst increasing the technical skills acquired in the first few weeks, ensuring our graduate class are able to add value to their teams early on using their newly acquired skill set. What makes our graduate programme different…? We offer two 9 month rotations in the first two years of your career with us; this enables graduates to experience varying team sizes and industries with a view to finding the best fit for their future. Team allocations for both rotations are announced at the start of the graduate programme. During the course of the programme there will be opportunities to network with colleagues as Evercore offers several social events including our annual summer away day, throughout the summer season and beyond. We hold two in-house events at our London office each year. These events allow potential applicants the opportunity to network with Evercore bankers and learn about the business from Senior Management as well as meet with the HR team responsible for recruitment. To register your interest in attending one of our in-house events please click here. 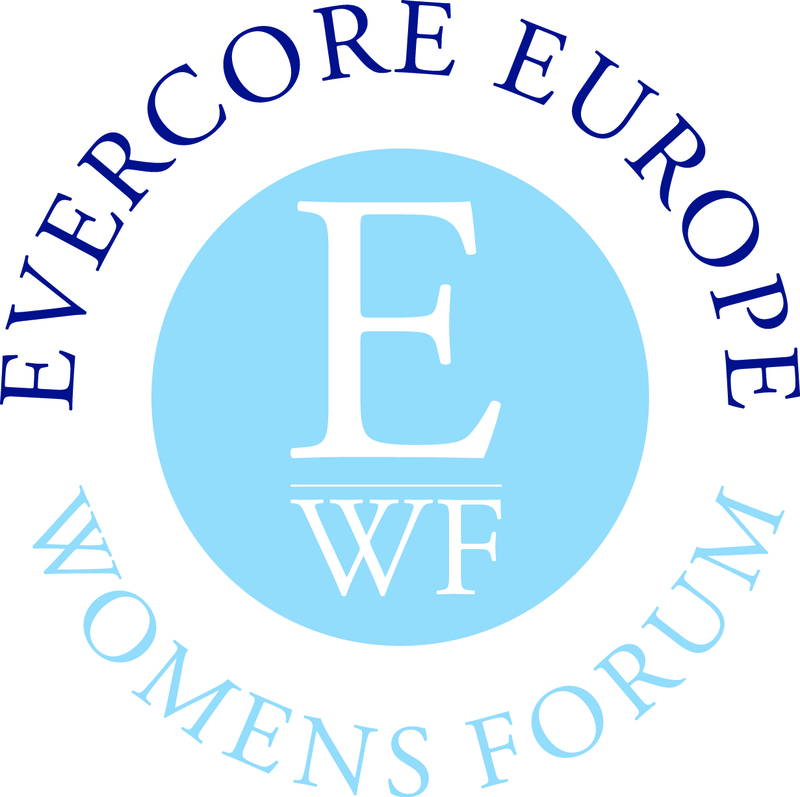 The Evercore Europe Womens Forum is an initiative created with the support of Evercore’s European Executive Committee to further develop its female bankers. 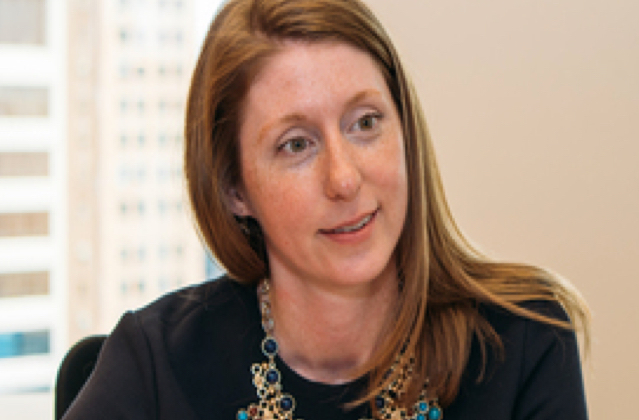 Key to Evercore’s culture, one of its roles is to contribute to the recruitment and retention of female bankers, as well as welcoming new graduates and interns once they have joined the firm. The Forum encourages connections between teams and between international offices in addition to running events such as speaker lunches, providing an opportunity to share experiences and ideas as well as network with other female bankers, external guests and the Women’s Forum senior sponsors. Evercore constantly seeks talented, team-oriented, experienced executives to join our firm. Throughout our organization, we provide career advancement and leadership opportunities that enable highly-motivated individuals to grow and succeed. 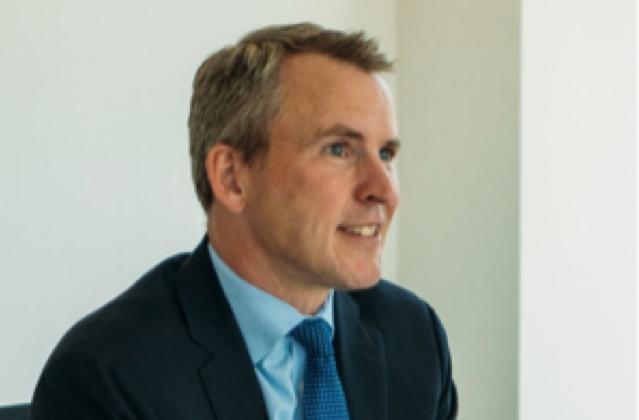 Evercore has earned a reputation as the leading independent investment banking firm by providing exceptional strategic advisory services, execution excellence, and unsurpassed customer service. We have guided many of the industry’s largest, most-complex, and high profile transactions. And our now-global presence makes Evercore an investment banking firm of choice for prominent multinational corporations, financial sponsors, institutions, and wealthy individuals.